Our business and services include Consultancy, Design & Development, Training, Events, Marketing and Social Community Development. ]Strategy and Management Consultation for your business where we work with you for the development and improvement of your organisational strategy. Here Swapnil Karekar works with the senior management of your business. We plan the vision and strategic plan for your business/organization. This gives clear goals and guidelines to the teams, employees, and management to move towards the main vision. The various aspects of business stay synchronized towards the business vision and objectives. High-performance Consultation: When you require a high-performance team or a plan to implement throughout your organization for making your human resource a high-performance unit we can help you do that. From instructional design to team building and specific training consultation, we will design and develop suitable plans, programmes, and training. 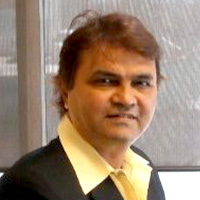 Personal Consultation and Business Consultation are both offered by Swapnil Karekar Creative Solutions LLP. Cricket Consultancy: Global Cricket Community is a vision of connecting 105 cricket playing countries. We already have members and reach in 107 countries. You are a player, coach or cricket related professional, we can surely give you useful consultancy. Cricket club development and cricket association strategic planning and social community development are all part of our cricket consultancy. We work on the complete aspects from players to club to sponsors to business and country tourism. Visit us to discuss your ideas and we are sure we can take the offer you the best. Internet Consultation: The internet keeps coming up with opportunities, threats and lots of new impacts and implications on business and professional life. We offer you consultation regarding the internet and keep you up-to-date with new and changed capabilities offered by the world wide web. We have practical experience and professional teams to help you. How the internet affects your strategy, what change can you bring with internet and technology and how your projects can be best done with internet processes are some questions that most businesses need to be answered. We can further offer you training and in-house systems for your projects and operations. Experience Design: Swapnil Karekar having worked in various fields has the experience and ability to design and develop experiences for your users. We focus on the quality of user experience and culturally relevant solutions. We design and develop touchpoints, engagement moments between users and your business. The impact and importance of ideas, emotions, and environment on the user is used in experience design. Your business, brands, and marketing can benefit a lot from our services in experience design. Communication Design: Reaching your message to the target audience is the main goal of communication design. Be it your marketing, corporate communication, brand message, internal communication or technical communication we can design and develop for you. Graphic design, visual design, mixed media all are used in making the communication specific and measurable. Service Design: Service business is different from products business and so we have specific design and development for Service industry businesses. The service provider's expertise and the wants and needs of the service user (customer) are both used to design the service practices and methodologies. Service design gives your service business the ability to be sustainable and growing as a business and brand. Coaching and training are essential for the growth of any individual and organization. You can depend on us for training that is designed and conducted to the specific useful competencies. Goal specific training that improves the abilities, capacity and impact and performance of the individuals and groups that undergo the training. Coaching is not only about training techniques, it also include understanding the person/group and discovering the potential. 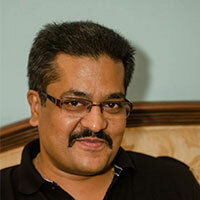 Success coach Swapnil Karekar can bring out the best in you and your team with success coaching. 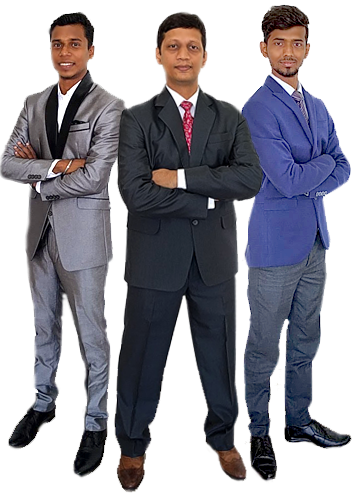 There are various programs we conduct that can surely improve your success and personal growth. We design goal specific and skill specific coaching and training programs for your needs. We are as good as our human skills and abilities, limited only by ourselves and once we are inspired and empowered… all goals can be achieved with the principles and coaching provided by the organization to the employees, be it new recruits, middle management and also senior leading teams. 5. Custom Developed Program – for the specific goals of team/organization. Swapnil Karekar with Tushar Sawant and Goraksh Kivale are active in cricket development, cricket business, and cricket community development. Global Cricket Community has a reach in over 104 countries and growing with social community development. We offer cricket coaching and training for players, clubs, businesses and entrepreneurs. Swapnil Karekar Creative Solutions designs, organizes and manages events like conferences, festivals, tournaments, tours, and exhibitions. 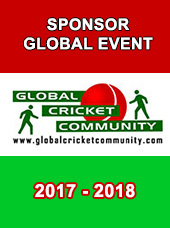 Cricket Events: We organise cricket events with www.globalcricketcommunity.com which has annual events and regional events around the world. These events are for cricket players, clubs and also businesses and social community development. Corporate Events: we have a team of experienced and enthusiastic team members who are at your service for corporate events from medium to large events, conventions, internal events, HR events, product launches and ceremonies. Social Community Development Events: We can help you organize and manage social development events for your CSR or Social Cause be it education, health, social awareness or entrepreneur development. Swapnil Karekar has a vision of development through putting people in the center of social development through business development. A progressing society is one where social, economic, environmental and cultural communities come together to develop ahead in changing situation. Inspire, Empower and Celebrate is the slogan with which we keep planning and organizing programs, events, online activities and field work towards Social Community Development. The vision of www.globalcricketcommunity.com is to connect global cricket community, players, clubs, schools & colleges, government and social organization with businesses, professionals, and leaders to bring cricket as a medium of fun, education, and entrepreneurship.